Male model. 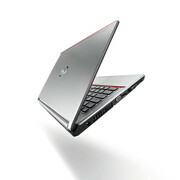 Fujitsu offers an exclusive business companion in a magnesium case with its Lifebook E-series Premium Selection. The Japanese company wants to attract customers with a quad-core processor, a Solid State Drive, a matte IPS panel and comprehensive security features. Our in-depth review shows if the overall package can convince us. 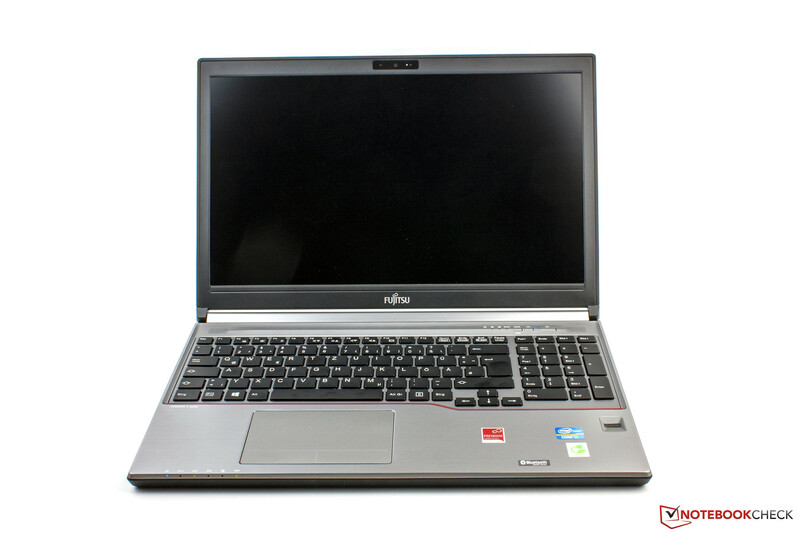 The Fujitsu Lifebook E753 Premium Selection is currently the top model from the E-series of the Japanese manufacturer. It is equipped with an Ivy Bridge quad-core processor, 8 GB RAM, a 256 GB Solid State Drive and a Full HD display with good viewing angle stability. It is noticeably more expensive than its two siblings at more than 1,700 Euros (~$2301), but also surpasses them in regard to the connectivity because the port replicator is a standard accessory. The two smaller versions use an Intel Core i5-3230M, 4 GB RAM and a 500 GB hard drive. All systems are shipped with a preinstalled version of Windows 7 Professional (64-bit). Both the 32-bit and the 64-bit versions of the operating system are provided on a DVD and you also get physical copy of Windows 8 Pro. Our review unit is not only a real premium notebook within its series, but does not have to hide behind the competition either. And the competition is fierce: Dell's Latitude E6530 (Core i5-3360M, 4 GB RAM, Full HD) is currently one of the best office notebooks. But the HP EliteBook 8570w (Core i5-3360M, 4 GB RAM, Full HD) is also an excellent choice, especially with its dedicated AMD FirePro M4000 GPU. Both Dell and HP already updated their business machines with the latest Haswell hardware, so the Fujitsu E753 is in a tough spot. 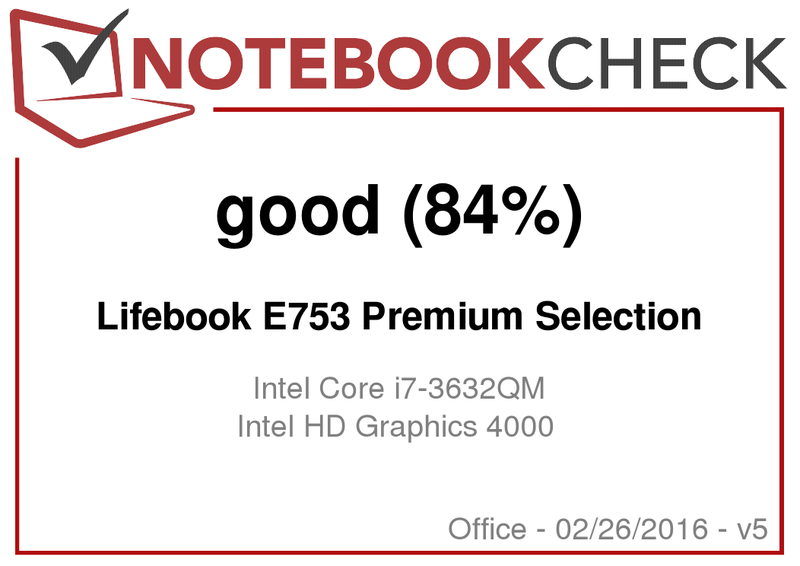 Read our in-depth review to find out how the Lifebook E753 holds up against the competition and if the overall package works. Magnesium-alloy improves haptics and design. Bottom is made of plastic. The case of the Fujitsu Lifebook E753 is one of the lightest within the competition with a weight just shy of 2 kilograms including the battery. The Latitude E6530 (2.8 kg) and EliteBook 8570w (3.3 kg) are considerably heavier. 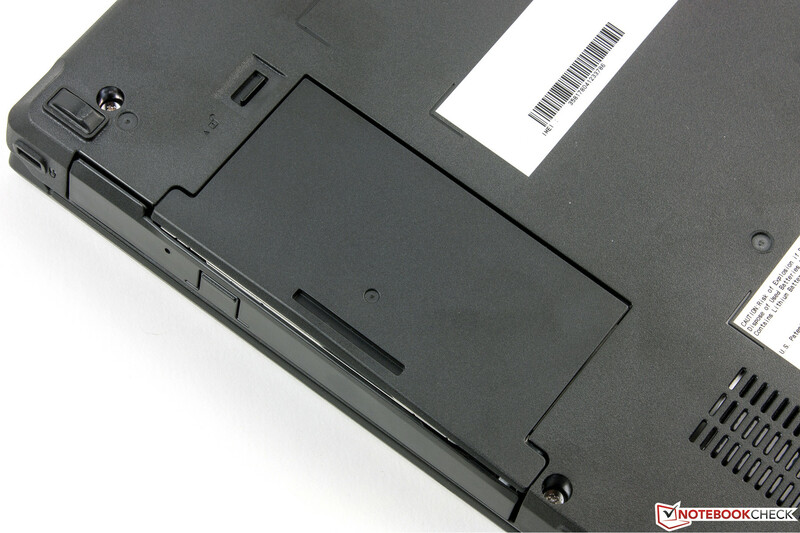 This might be a result of the magnesium-alloy, which is used both for the display cover and the palm rest of the E753. The material is very nice to touch and also conveniently smooth. The bottom is apparently made of plastic. Build quality is on a very high level. Only the display can be easily twisted and is very susceptible to pressure. The situation is different with the base unit; it is very sturdy and there are no creaking noises if you try to twist it. Only the area around the optical drive can be slightly pushed in, but not by much. The gaps are very consistent and do not cause any criticism. The display hinges do a great job and keep the display well in position with every opening angle; even light vibrations do not result in bouncing. The maximum opening angle is very generous with around 190°. 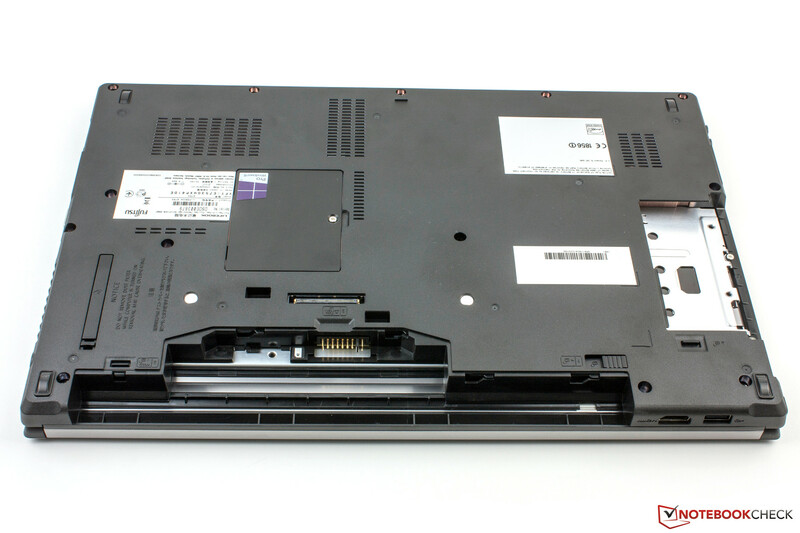 Even though the E753 was not tested according to military standards and cannot quite keep up with the according ruggedness of Dell notebooks, it is however considerably thinner and lighter. With a height of just 20 mm at the front and 28 mm at the rear, our review unit has an elegant design and leaves a representative impression. 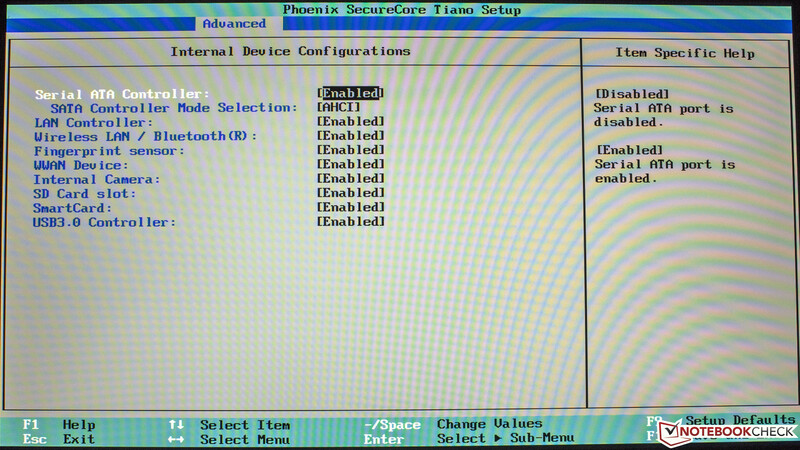 The port variety of the Fujitsu Lifebook E753 does not leave much to be desired, even without the port replicator. A very interesting feature is the modular drive bay; our review unit is equipped with a DVD burner. You can also replace it with an empty tray, a Blu-ray burner or a second battery. We had no problems replacing the optical drive while our review unit was running. Fujitsu integrates three USB 3.0 ports, one of them can be used to charge attached devices like tablets or smartphones even when the device is turned off. 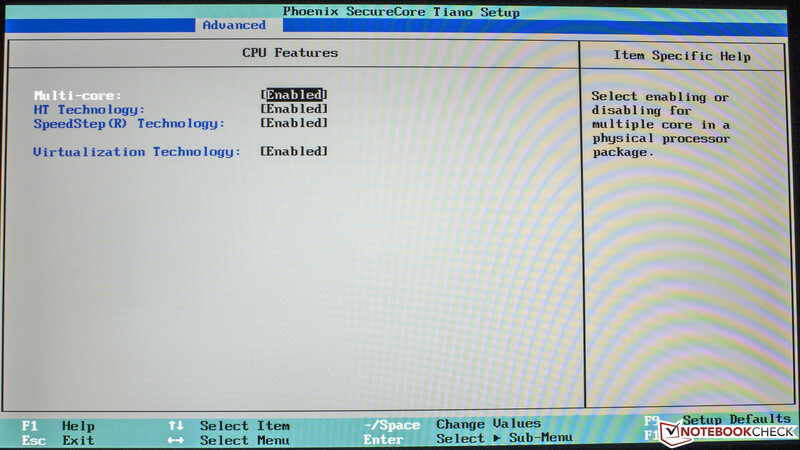 However, you have to activate this feature in the BIOS. The port layout is okay, but only in combination with the port replicator. Since most of the ports are at the back in this scenario you will not have any issues with attached peripherals or cables. Without the port replicator, however, the ports at the sides are too far at the front of the notebook. This can have a negative impact on the usability if you use all of the ports simultaneously. The port replicator supports the USB 3.0 standard, but the ports are primarily intended for peripherals. It is also not possible to use the DisplayPort and the DVI port at the same time. The Lifebook E753 provides almost every means of communication you can imagine. Wired networks are supported by a Gigabit-Ethernet module, however, the maximum transfer rate is not really convincing. We only reached a maximum of 85 MB/s at the port replicator and the result was even lower directly at the notebook with a maximum of 79 MB/s. The consumer notebook Toshiba Satellite S70-A, for instance, manages a maximum transfer rate of 108 MB/s in the same scenario. The performance of the Lifebook is still sufficient. Wireless connections are handled by the Intel Centrino Advanced-N 6235. The module supports the IEEE-802.11 a/b/g/n standards in 2.4 and 5 GHz networks. The transfer rates fall short of expectations but the range of the WLAN is very good in return. Even with a distance of 50 meters from the router and through a wall, the author still had a reliable connection in his individual test environment and web browsing was no problem at all. 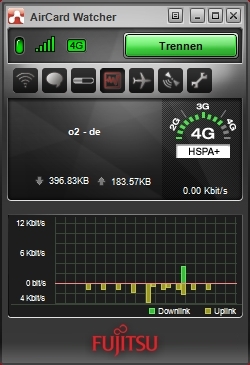 Internet on the road with HSPA+ and LTE. A GPS module is also integrated. The Lifebook is also equipped with a WWAN modem (mini SIM), which supports the latest transmission technologies. Besides HSPA+ (up to 41 MBit/s), the module also supports the LTE standard (downstream up to 100 MBit/s, upstream up to 50 MBit/s) and many frequencies that should provide a connection throughout Europe and in North America. If you want to work around the globe you will have to live without CDMA/EV-DO. A smaller model of the E-series is also available with a Qualcomm Gobi 3000 modem that supports these standards but is significantly slower in return. 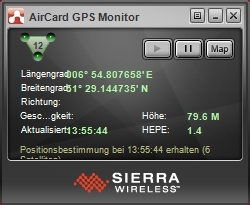 The integrated GPS module is also very reliable. Even though it took some time before it located the exact position, it was also able to establish a connection indoors. 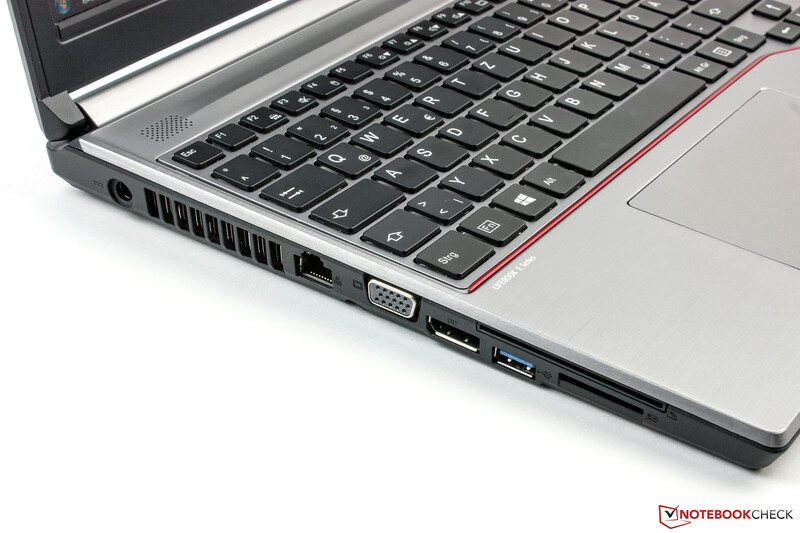 The security features of the Lifebook E753 are very comprehensive. Besides a Trusted Platform Module (TPM) it also supports Intel's Anti-Theft technology. 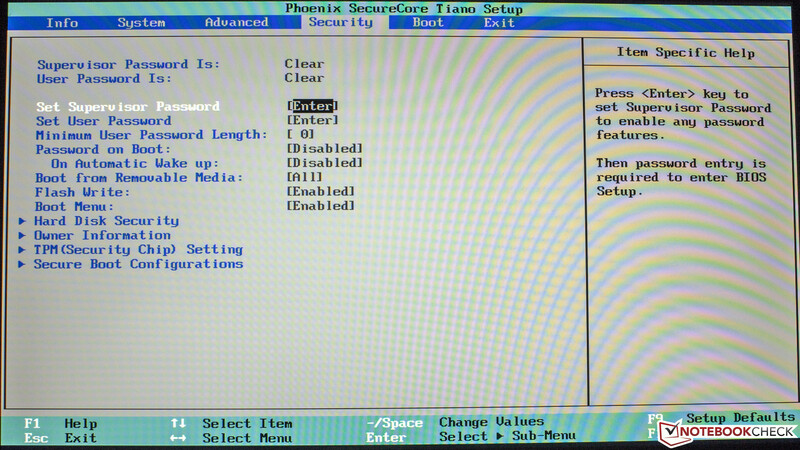 You can set a password to protect the BIOS and the hard drive. While the Professional edition of Windows 7 does not support the BitLocker encryption, it is provided by Windows 8 Pro. The security package is completed by a SmartCard reader as well as a fingerprint reader. The box contains several accessories. Beside the mandatory power supply unit with a rated output of 65 Watts (19 Volts, 3.42 Amp) you also get the operating system Windows 7 Professional (32 and 64-bit) as well as Windows 8 Pro (64-bit) including drivers on a total of five DVDs. However, you can only install one operating system at a time due to licensing reasons. 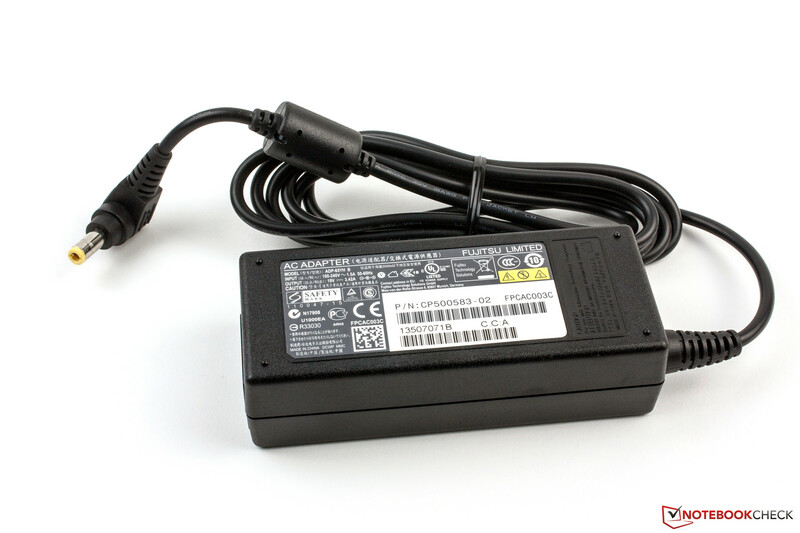 The port replicator is also standard equipment for the Lifebook E Premium Selection and comes with its own power supply unit with a rated output of 100 Watts (19 Volts, 5.72 Amp). It is therefore powerful enough for attached peripherals. Fujitsu also offers optional accessories like input devices, speakers, bags and a second battery (28 Wh, 6-cell, 2,600 mAh) for the modular drive bay, which can be bought for 159 Euros (~$215). Only the memory can be easily replaced. The SIM slot is underneath the battery. 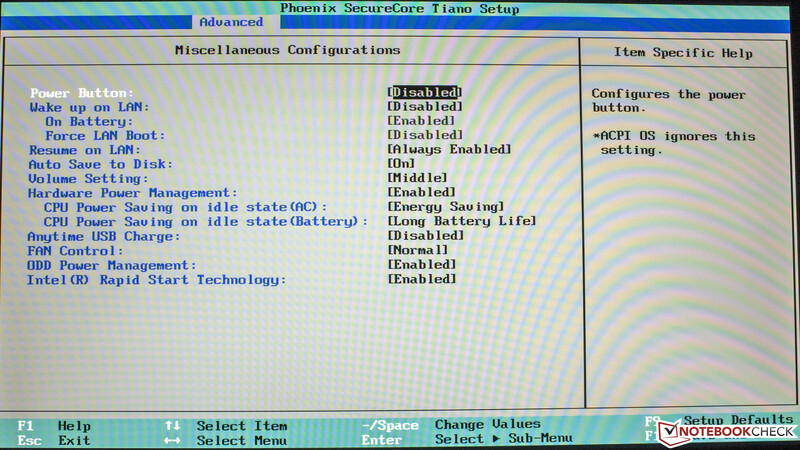 Maintainability on the Fujitsu Lifebook E753 is very limited for common users. This can either be an advantage or disadvantage for companies. A small maintenance cover on the back only reveals the memory slots. 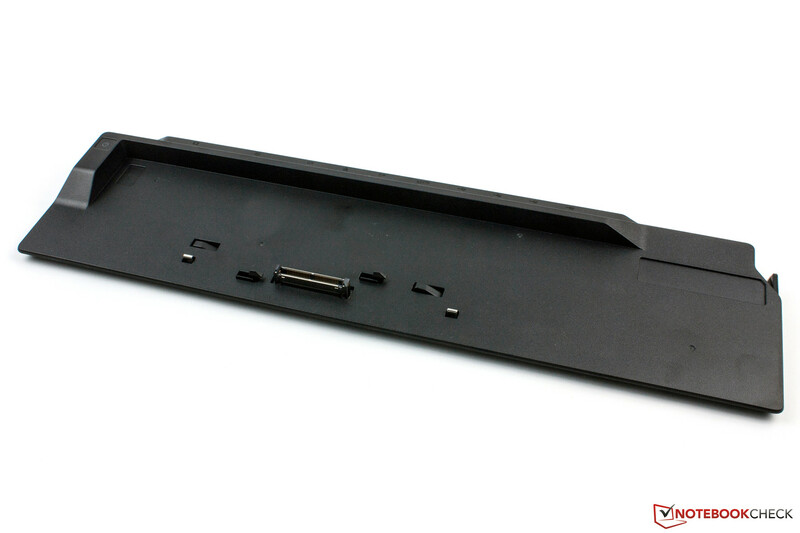 Before you can completely remove the bottom cover you will have to carefully lift the keyboard and pull out the according connector. After that you can remove it. Underneath it are the 2.5-inch SSD and several screws that secure the base unit. After you loosen these screws you can turn the device around. 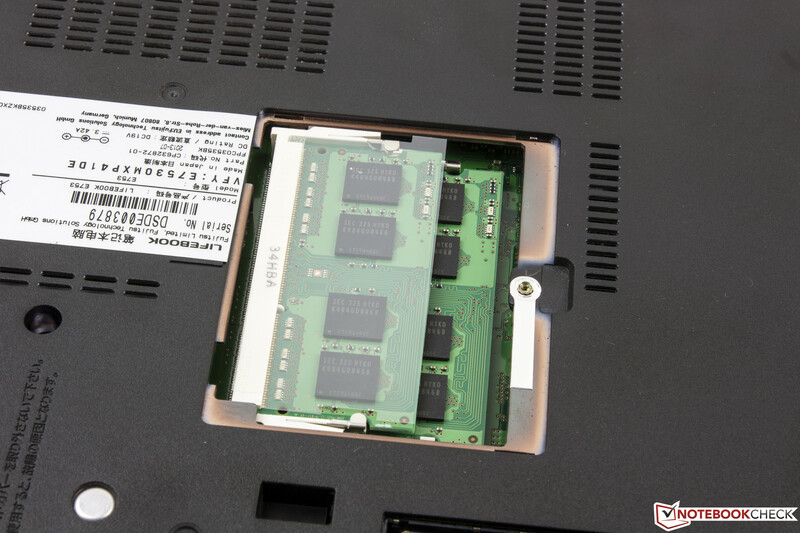 Then you will have to open the maintenance cover and remove both the battery as well as the DVD burner. After that you can loosen all the screws, including the ones in the drive bay. 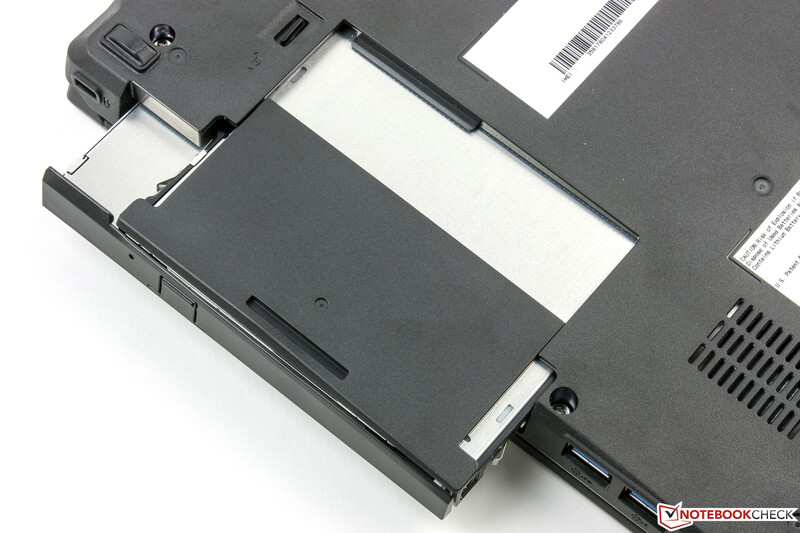 Only then can you remove the bottom cover, but this operation requires some experience and should only be performed by an authorized technician. We did not try to open our review unit to avoid any damage. 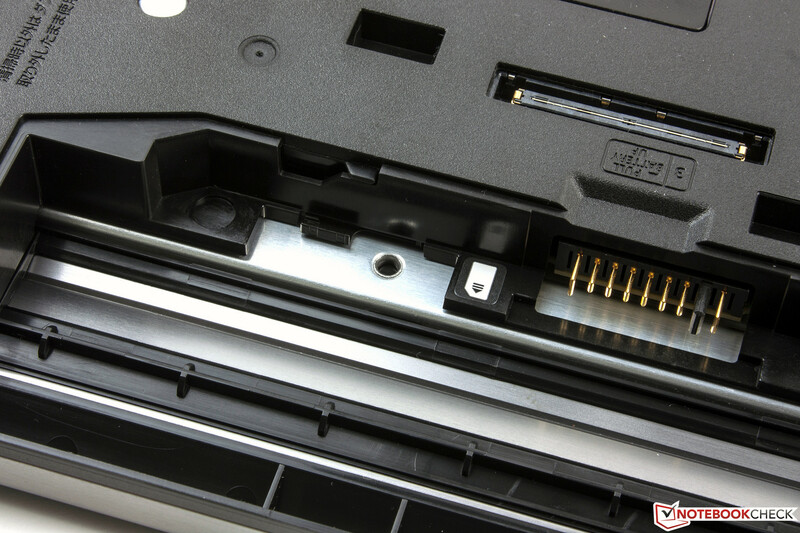 You only have to remove the battery to insert a SIM card into a little tray, which can be pulled out. Fujitsu grants a 24-month warranty for its Lifebook E-series devices that can be extended up to five years. You can choose between several packages; the cheapest warranty upgrade (122 Euros, ~$165) extends the warranty to three years and includes an on-site service for the next business day. This also includes travel costs within a 50 km radius. A five year bring-in warranty is available for 125 Euros (~$169), while a collect-and-return service is 21 Euros (~$28) more. 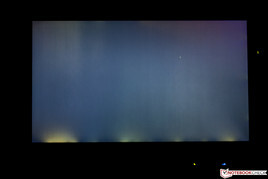 Fujitsu equipped the chiclet keyboard of the Lifebook E753 with a subtle two-stage background illumination. 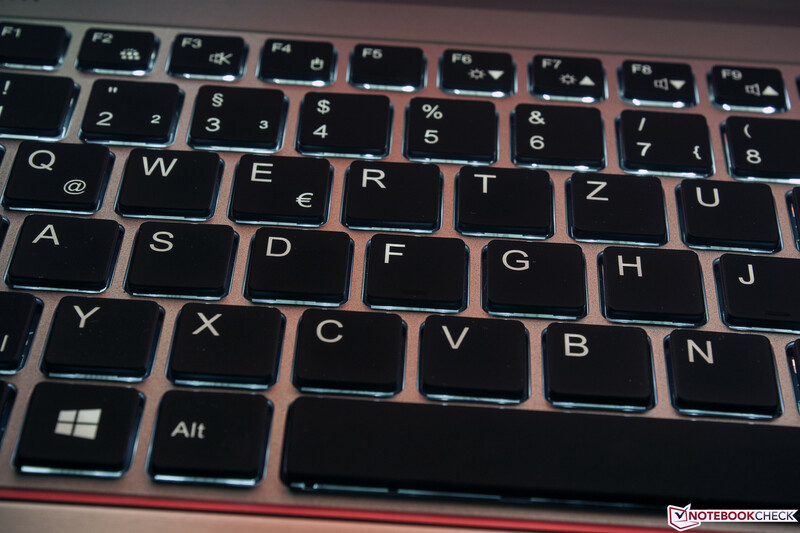 The QWERTY-keys are conveniently sized with 15 x 15 millimeters and a spacing of around three and a half millimeters. The key surface is slightly rubberized and feels quite soft; the keys have a slightly concave shape that improves the usability. Key travel is short and provides a very good feedback. Unfortunately, the keyboard has some issues with stability, especially in the area around the G- and H-keys, where you can noticeably dent it. However, this will not be an issue for many users because the overall typing experience is very smooth and does not require a lot of force. We had no problems with typos in our review. Some of the F-keys have special functions that can be used in combination with the Fn-key. There are also two additional buttons above the keyboard. One of them controls the wireless modules while the other one activates the ECO mode. The latter deactivates all additional energy consumers like the optical drive, WLAN and LAN, mutes the sound, reduces the display brightness and reduces the processor clock to save energy. The smooth touchpad is generously sized with 110 x 76 mm and has excellent gliding capabilities. Gestures and inputs are executed quickly and precisely. Especially the scrolling function is a joy. 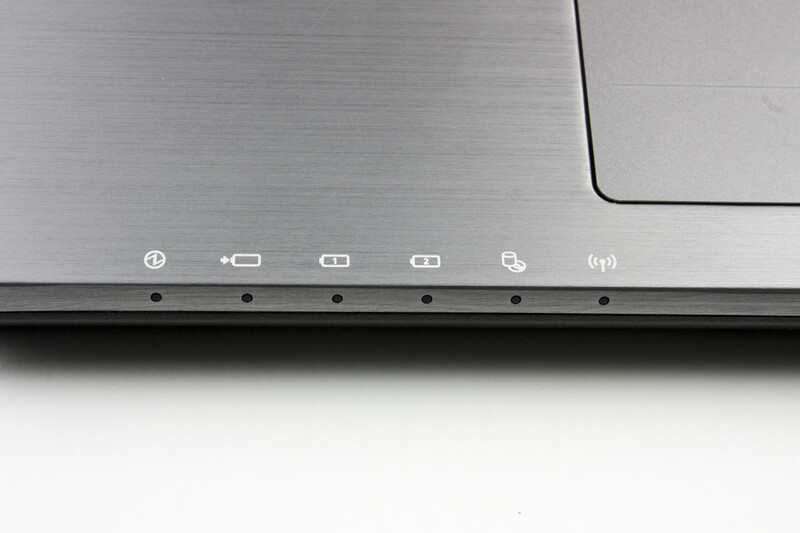 There are two integrated mouse buttons at the bottom of the touchpad. They have a limited travel and provide a perceptible and precise feedback; you can also hear the clicking sound. The input device works flawlessly and does not cause any criticism. Touchpad with good gliding capabilities. The 15.6-inch IPS panel has a resolution of 1920x1080 pixels (Full HD). This corresponds with a 16:9 aspect ratio and a pixel density of 141 ppi. 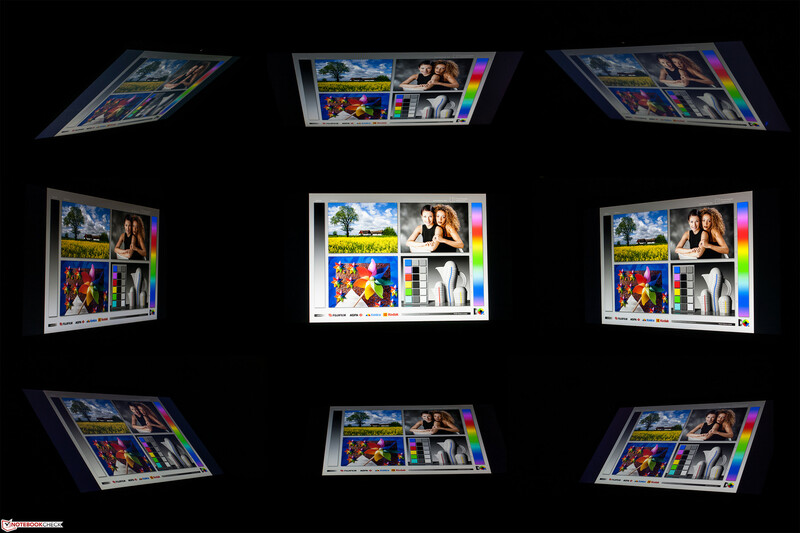 The matte display has a good brightness distribution of 86% and a maximum display brightness of 343 cd/m². The average luminance is still good with 305 cd/m² and therefore slightly above the manufacturer's specification of 300 nits. The other E753 notebooks are not only equipped with lower resolution displays (1366x768) but they are also not as bright; Fujitsu only specifies them with 200 nits. Unfortunately, our review unit had some issues with screen bleeding at the lower edge of the screen, which was visible with dark pictures. The black value of 0.47 cd/m² is okay and the contrast ratio of 730:1 is decent. Not even the top of the class notebook from Dell (0.52 cd/m², 564:1) can keep up with these results. 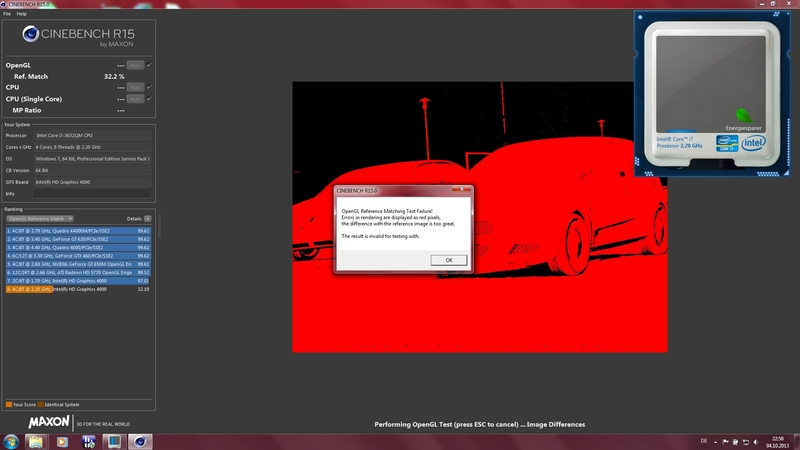 Calibration out of the box is not overwhelming. We measured a maximum DeltaE value of 12 for the grayscale presentation. The average deviation of 8 is still a bit high and we can also see a slight green cast in the CalMAN screenshots. However, it is not really visible in practice and should not be really important for most business users anyway. Calibration does not really improve the picture; the display calibration of the Latitude E6530 is even worse ex-works but can be optimized. 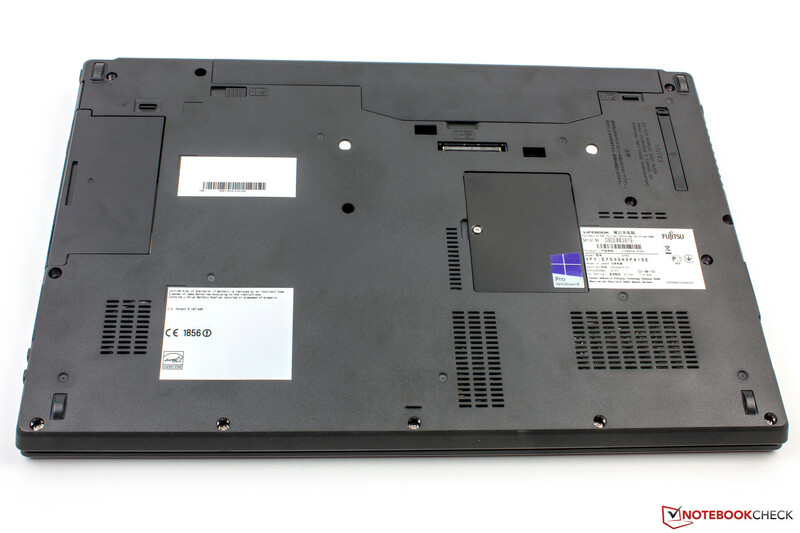 The same applies for the screen of the EliteBook 8570w. 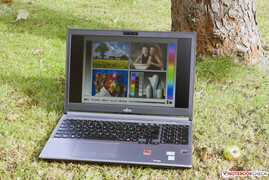 Outdoor use is a big strength of the Fujitsu Lifebook E753. The matte screen does benefit from its high luminance and good contrast. Even very bright environments do not reduce the visibility of the display content. Only direct sunlight shows the limits of the panel, but you can still see the content. 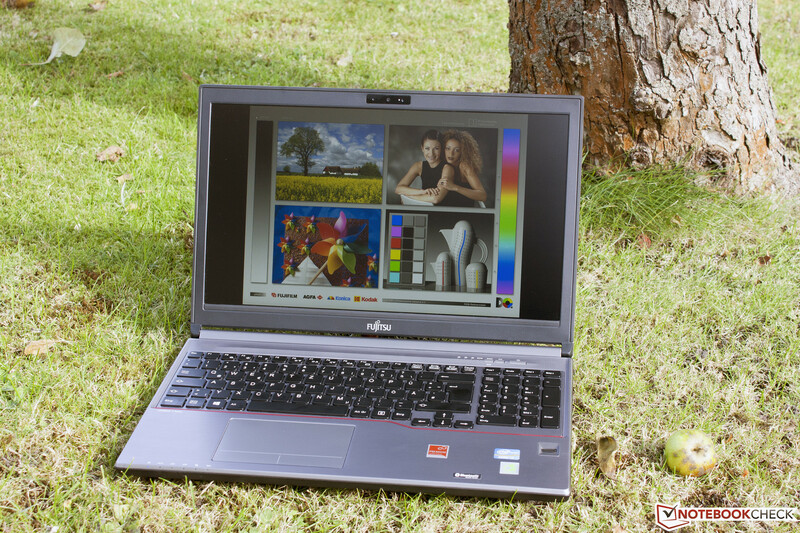 The Lifebook E753 PS in a bright environment. Screen bleeding at the bottom of the screen. The use of IPS technology basically ensures excellent viewing angle stability and the panel does not disappoint in this category. We can only see some slight deviations with very extreme vertical viewing angles, but that should not be a very common scenario. 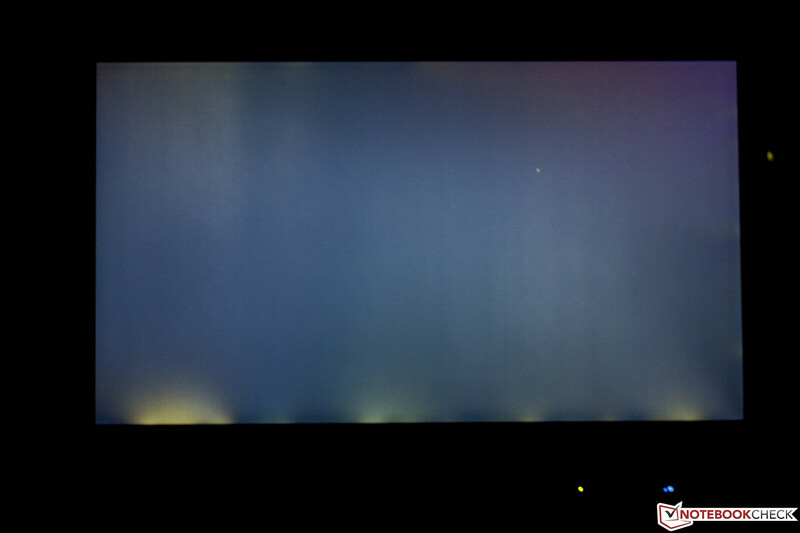 Both the Dell Latitude E6530 and HP EliteBook 8570w use a TN panel with limited viewing angles and visible color deviations as a result. Fujitsu equips the Lifebook E753 PS with a quad-core processor based on Intel's Ivy Bridge architecture that is supported by 8 GB RAM. The two smaller siblings are only available with a dual-core Core i5; all three systems use the integrated graphics solution. The Solid State Drive ensures fast application and OS starts. 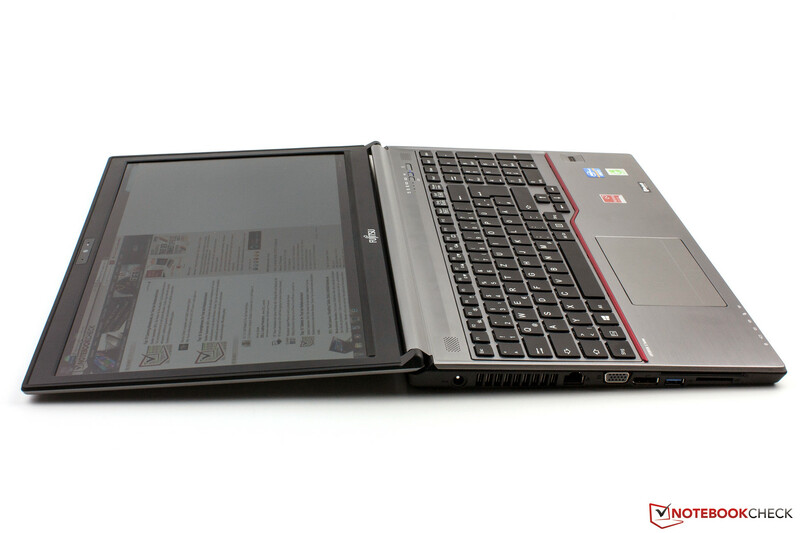 The heart of the notebook is an Intel Core i7-3632QM processor. The quad-core CPU with a nominal clock of 2.2 GHz can execute up to eight threads simultaneously and reaches up to 3.2 GHz for a single core and up to 2.9 GHz for all four cores via Turbo Boost 2.0. 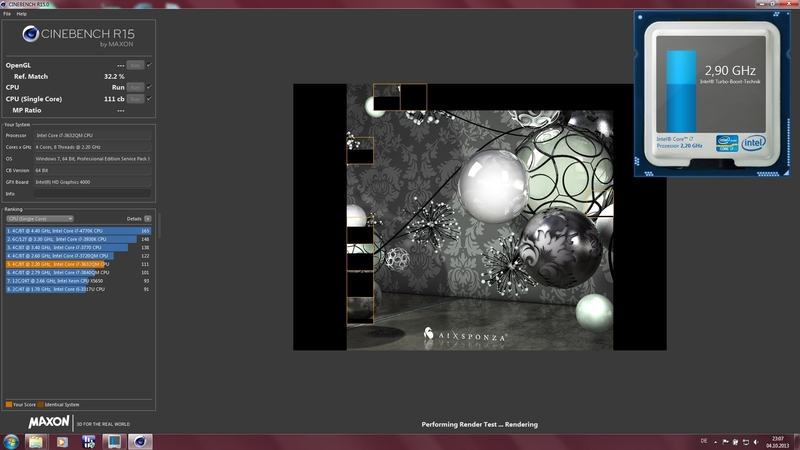 Cinebench R11.5 determines 1.29 points in the Single-Core test and 5.79 points in the Multi-Core test respectively. 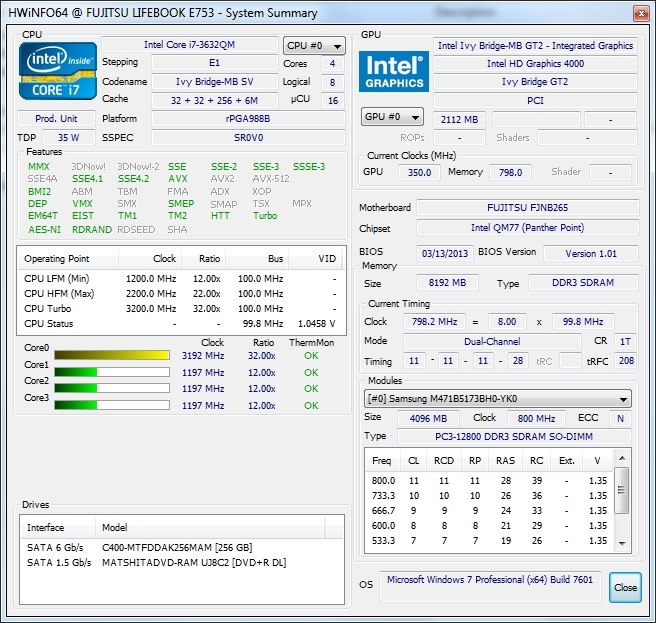 Because of the higher turbo clocks for one core, the i5 CPUs inside the Latitude E6530 and HP 8570w (both i5-3360M, 2.8 up to 3.5 GHz) are actually faster in this benchmark. 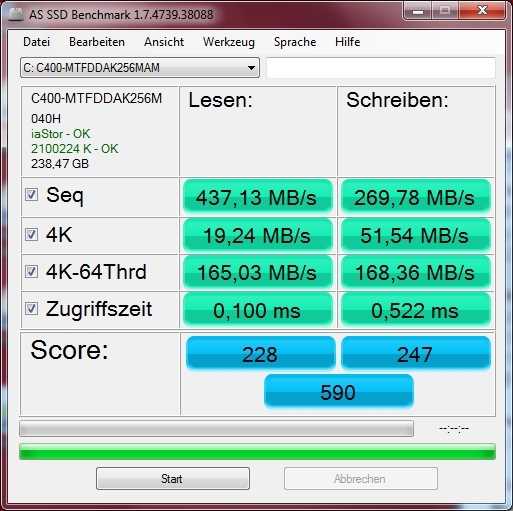 But even the Schenker B502 with the same CPU is slightly faster than our review unit. The reason for this is the slight clock reduction because of the resulting heat under continuous load for one core. The situation changes in multi-core benchmarks, where the E753 can take advantage of its two additional cores and therefore surpasses the competitors from Dell and HP. The difference to the B502 is also smaller, but the performance could be better in this scenario as well. Our CPU stress test shows throttling of the CPU clock after around five minutes; it even drops below the nominal clock after ten minutes to keep the temperature down. However, this impractical scenario should not be common during everyday use; it is therefore not a serious drawback. The notebook can use its full CPU performance on battery power. PCMark 7 does not run without errors. 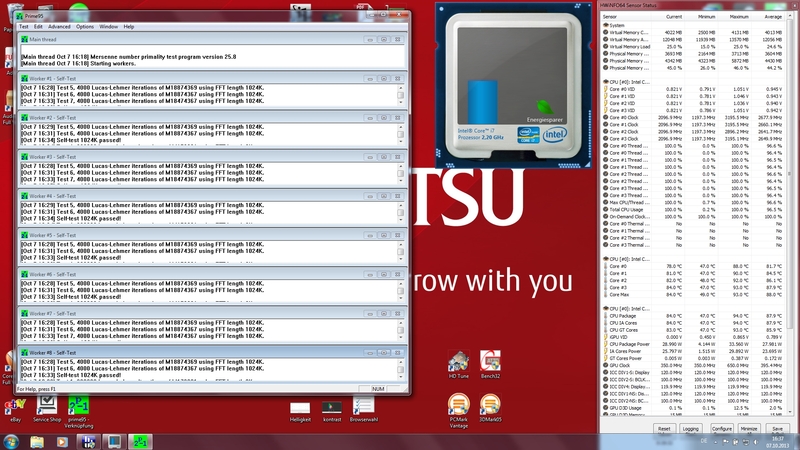 The subjective system performance with Windows 7 is very good. The operating system quickly boots up and resumes from stand-by. The same applies for applications. 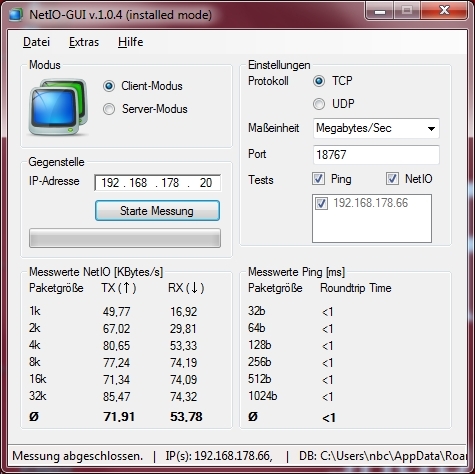 However, the PCMark results suggest that the system could be even faster. 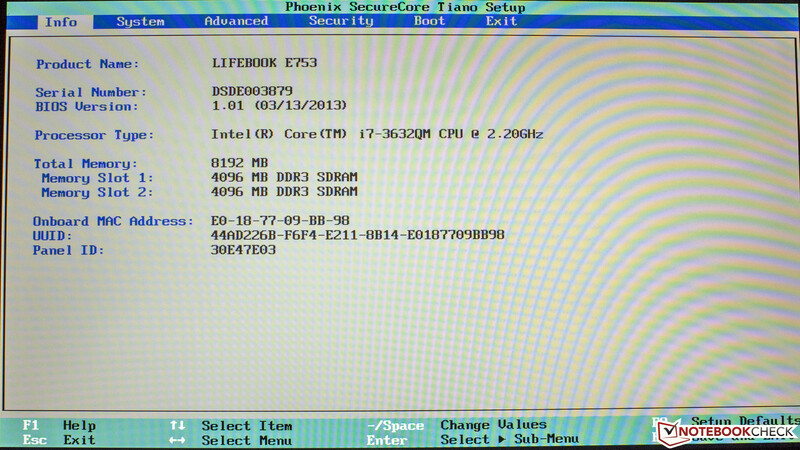 PCMark 7 did not run without errors; the result was comparable with a netbook. The main reason for this is the outdated GPU driver for the HD 4000, which was released one and a half years ago; we can only recommend an update. 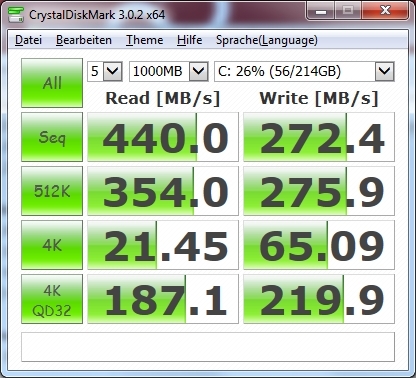 Fujitsu does not use the fastest SSD either, which can be seen in the following benchmarks. Fast top versions from other manufacturers are faster than our review unit. The otherwise similarly equipped Schenker B502, for instance, is 11% faster in PCMark Vantage and the Bullman C-Class 3 has an advantage of around 9% in the current PCMark 8. However, the performance difference will not have a huge impact during daily tasks. 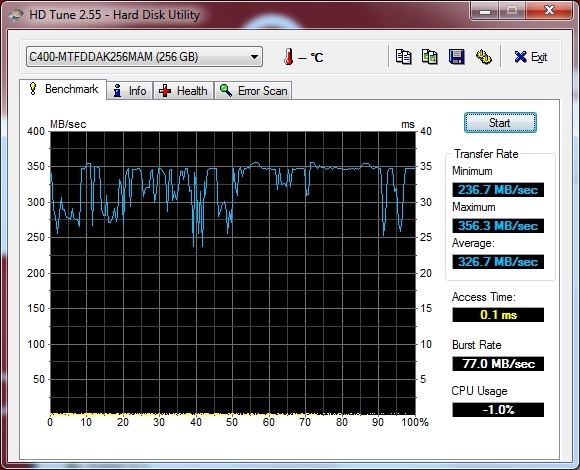 The hard drive is a Solid State Drive from Micron's C400-series. Compared to conventional hard drives, the fast flash memory benefits from very low access times and the high read and write transfer rates of small data blocks. This performance advantage is especially perceptible during Windows starts and when you launch complex applications. 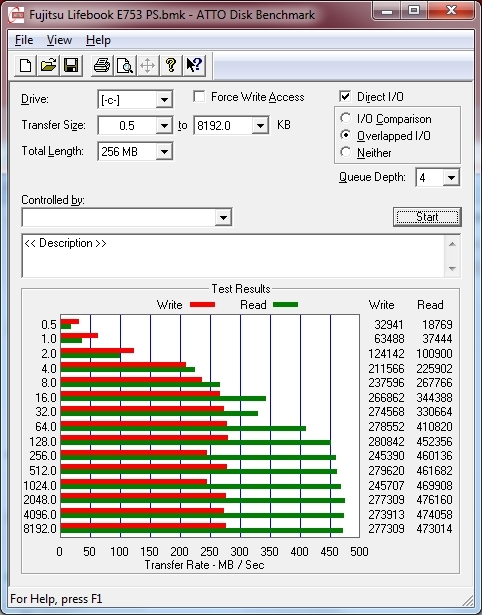 The integrated SSD cannot keep up with the fastest drives when you copy large files, but is still significantly faster than the mechanical counterpart inside the Latitude E6530. 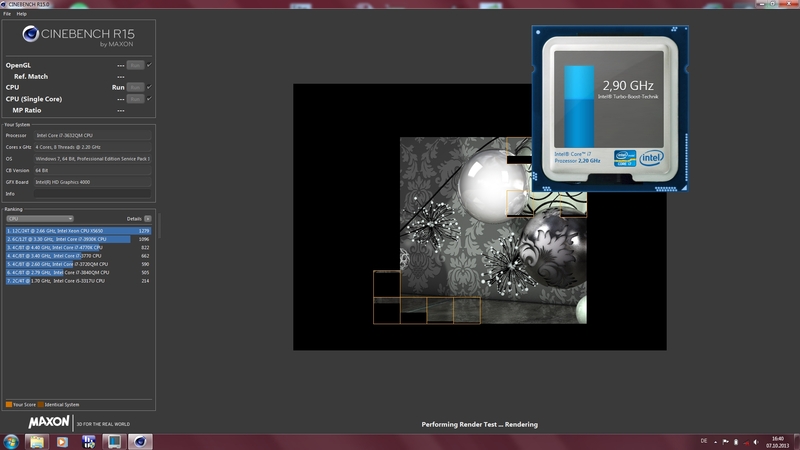 However, the performance is not the most important aspect of this SSD. Business customers will pay more attention to the other features of the RealSSD like the 256-bit AES-encryption, high durability (1.2 million operating hours) and the resistance against high environmental temperatures of up to 70 °C. 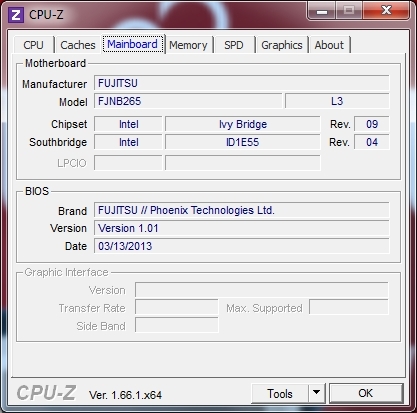 Graphics are handled by the Intel HD Graphics 4000, which is integrated into the processor. The GPU does not have its own memory and has to use the system memory. 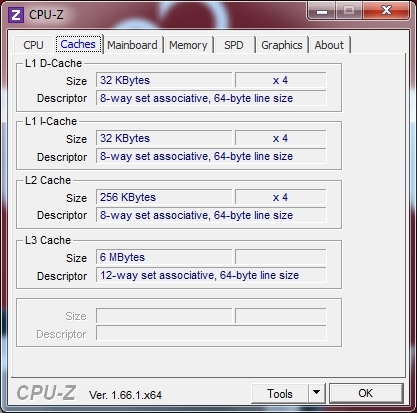 The RAM works in dual-channel mode, so the GPU can use its full potential. 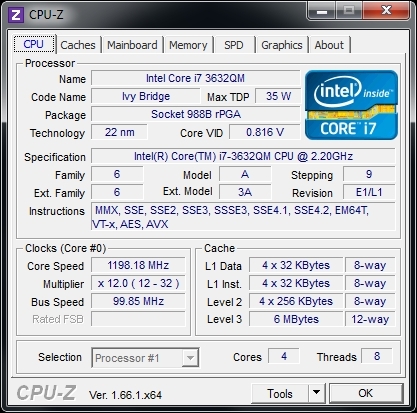 According to the chipset specifications, the GPU clock is between 350 and 1,350 MHz. 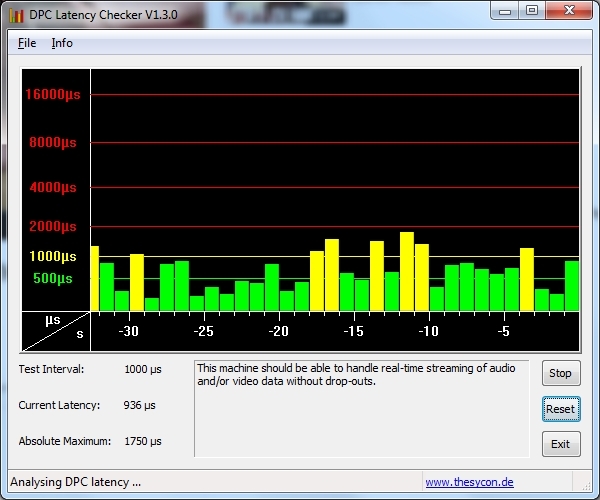 The version in the Lifebook E753 can reach up to 1,150 MHz; the performance is once again not reduced on battery power. Dell also uses the HD 4000 but cannot keep up in terms of performance. 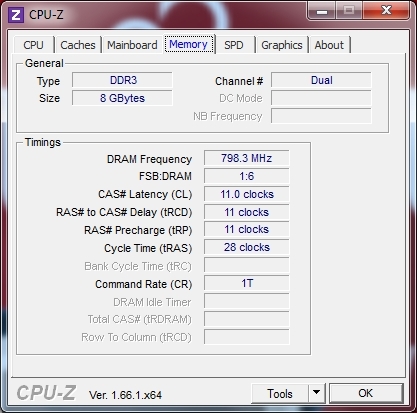 A reason for this is the single-channel memory configuration and the lower clock. HP (AMD FirePro 4000), however, integrates a more powerful dedicated GPU. 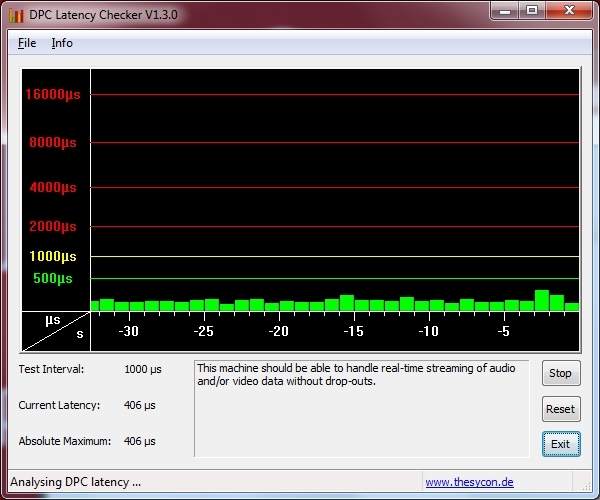 The HD 4000 cannot compete with this performance and is not really suitable for CAD applications. The performance is, however, sufficient for everyday tasks. The HD 4000 is not the best solution for gaming. 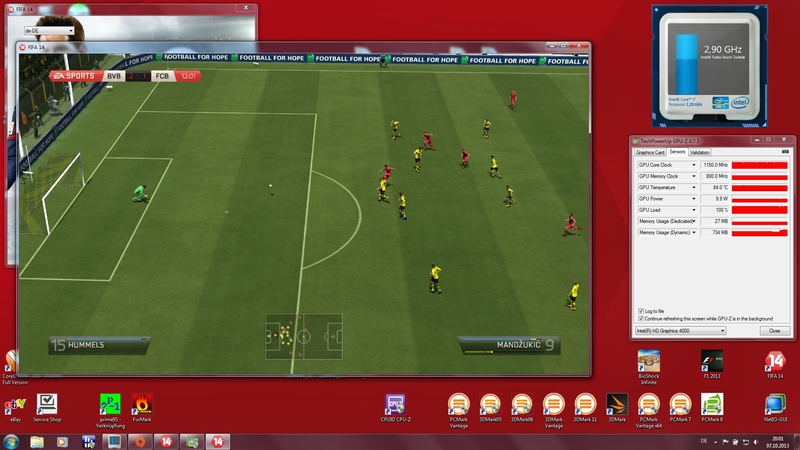 Casual games like Solitaire and Minesweeper are obviously no problem and even less demanding titles like FIFA 14 can be played with high settings. 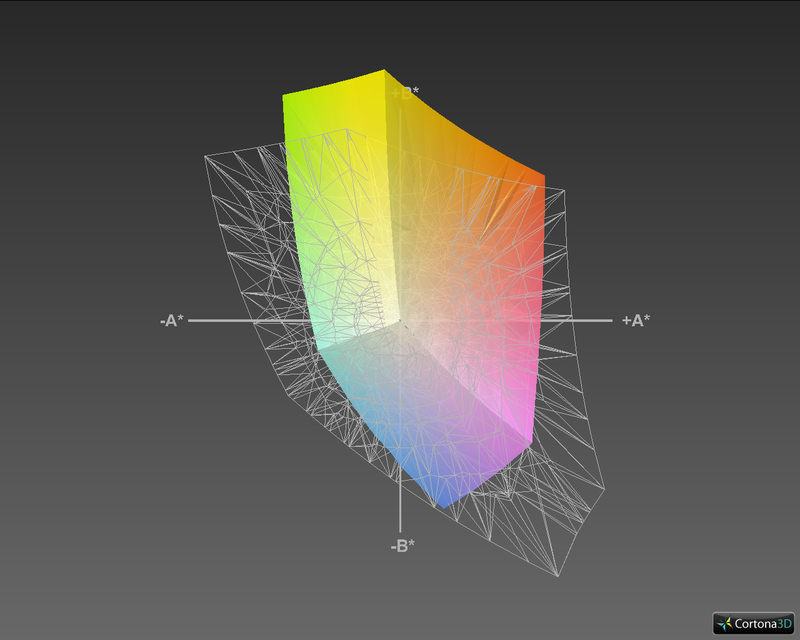 Current 3D titles, however, can only be played with minimum details, if they run at all. 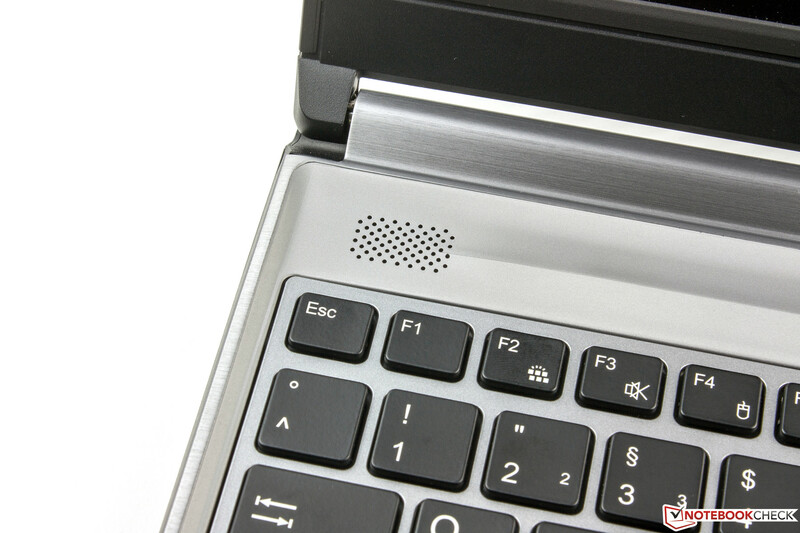 The noise development of the Fujitsu Lifebook E753 is very convenient during idle with a maximum value of 32.2 dB(A). The fan is even completely deactivated from time to time. Medium workloads result in a fan noise between 37 and 38.2 dB(A); the fluctuation is connected with the afore-mentioned fluctuation of the CPU clock. We determined a maximum system noise of 48.6 dB(A) under maximum load with combined load of Prime95 and Furmark. This is quite noisy but not yet annoying, especially since this extreme scenario should not be very common. One issue is a whistling sound that seemed to originate from the SSD when it is active for a longer period. This noise is drowned out by the fan under load, but it is audible when you copy something during idle. The temperatures are quite high during idle with up to 40 °C at the bottom. The combination of powerful hardware and a thin case design favors this development. The temperatures reach up to 47 °C under load in the area around the fan. We use our stress test with Furmark and Prime95 to simulate the maximum system load. 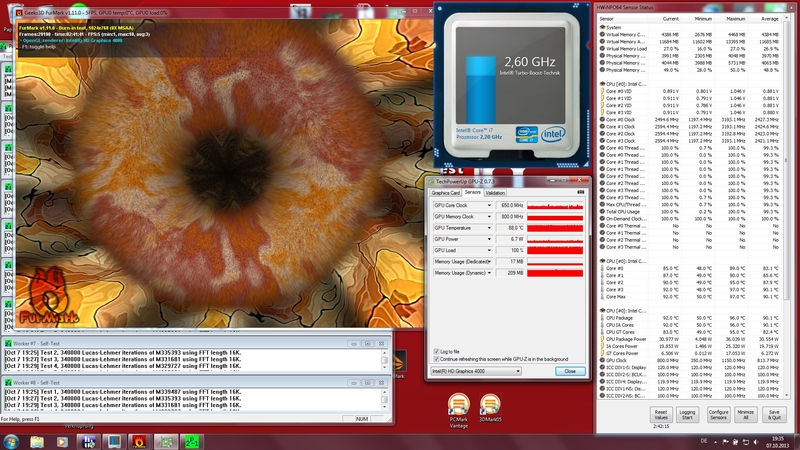 According to HWiNFO64, the maximum CPU temperature is 97 °C. We can once again see CPU throttling to cool down the processor; the average clock of 2.4 GHz, however, remains above the nominal clock. 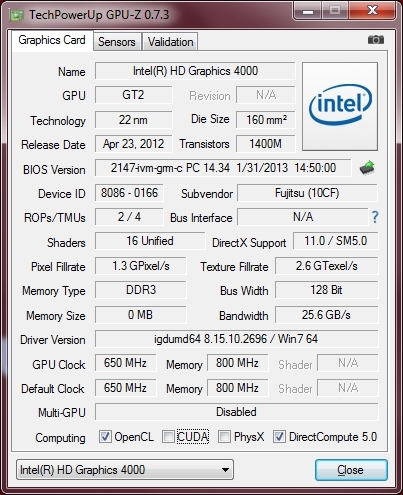 The GPU clock also fluctuates between 650 and 1,100 MHz in this scenario. Once again, this is a very impractical scenario that should not occur in practice. We used the smaller power supply unit with 65 Watts during our measurements, which got very warm with 53 °C while charging the notebook. (±) In idle usage, the average temperature for the upper side is 32.2 °C / 90 F, compared to the device average of 29.4 °C / 85 F.
(-) The average temperature of the palmrest area of similar devices was 28.2 °C / 82.8 F (-9.8 °C / -17.6 F). The two integrated stereo speakers are not ideal for movie or music playback. High tones are a bit muffled, there are no medium tones and the bass is very weak. This is definitely not a good sound experience. 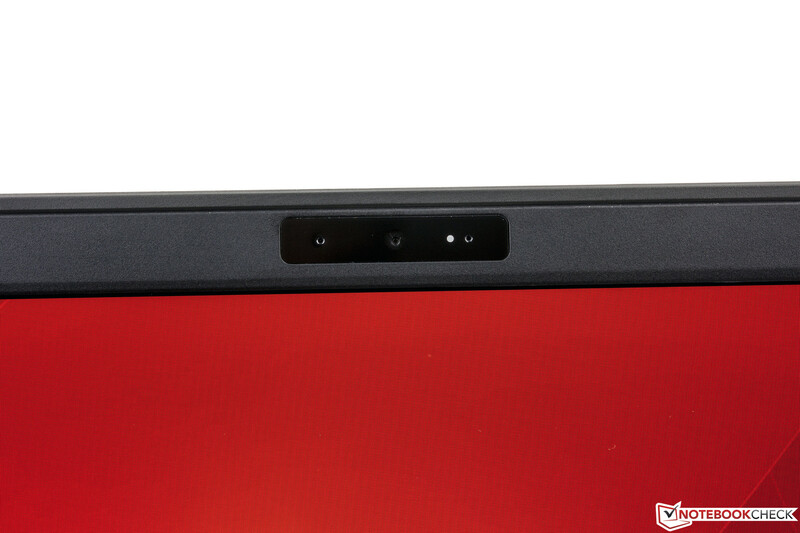 The Lifebook E753 is, however, well suited for video calls. We had no problems understanding the other person over Skype and the recipient did not report any problems either. Even a distance of around one and a half meters from the microphone was not an issue. The webcam works really well and takes good pictures in low-light environments. 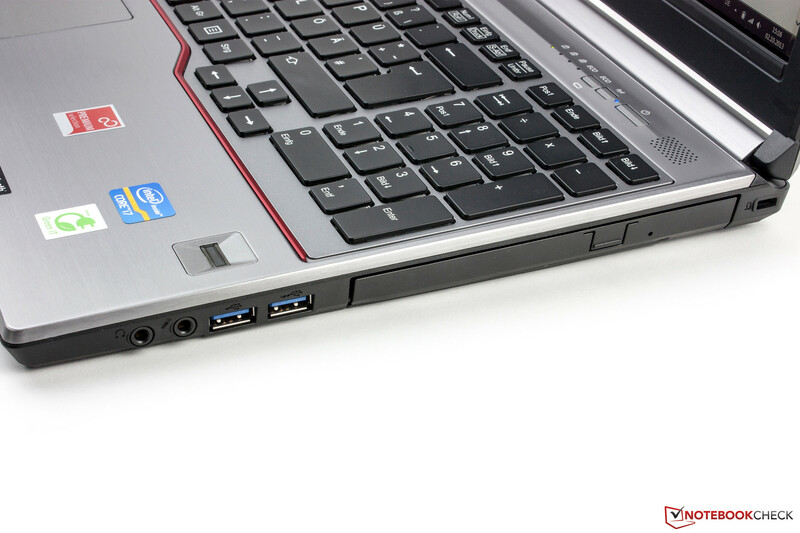 The energy consumption of the Fujitsu Lifebook E753 is on a good level with 7.9 up to 14.7 Watts during idle. The result is even better than the less powerful Latitude E6530 (8.4 up to 16.6 Watts), which is probably a result of the higher nominal clock. 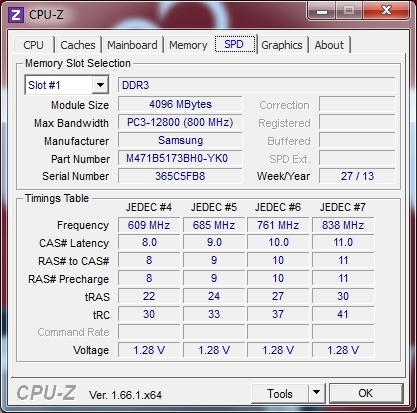 The consumption fluctuates between 45 and 61 Watts with Prime95. The big gap is once again connected to the fluctuating CPU clock that we mentioned before. We can measure up to 65.7 Watts under maximum load, which is not very high. 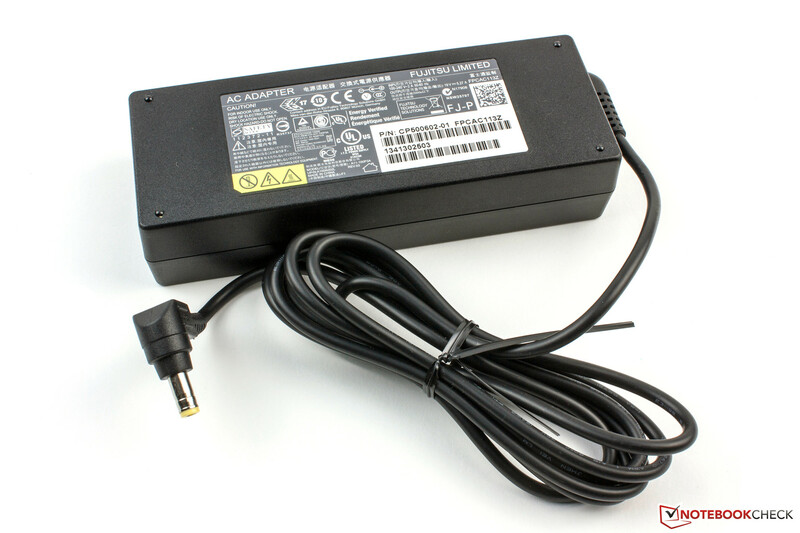 However, the provided PSU only has a rated output of 65 Watts, so there is not much headroom. The consumption values during stand-by (0.2 Watts) and when the device is turned off (up to 0.1 Watts) support the Green IT claim of the notebook. The battery is recharged after 153 minutes. Our review unit is equipped with a 72 Wh lithium-ion battery that can be expanded with an optional battery for the drive bay, but the runtimes of the main battery alone are already very good. We use the Battery Eater Reader's Test (minimum display brightness, activated Eco-mode) to determine the maximum runtime. The notebook runs for ten hours before the battery is empty. The other extreme scenario (maximum display brightness, high performance energy profile, all components activated) is the minimum runtime, which is simulated by the Battery Eater Classic Test. The system shuts down after 83 minutes. 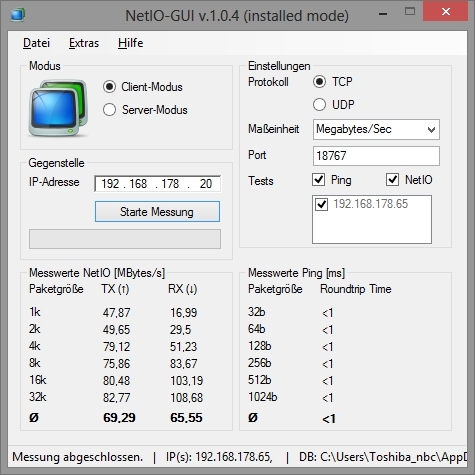 Our WLAN scenario is more realistic (adjusted brightness at 150 cd/m², only WLAN active) and simulates web browsing; it refreshes a web page every 40 seconds via script. The E753 manages a good result just shy of six hours. 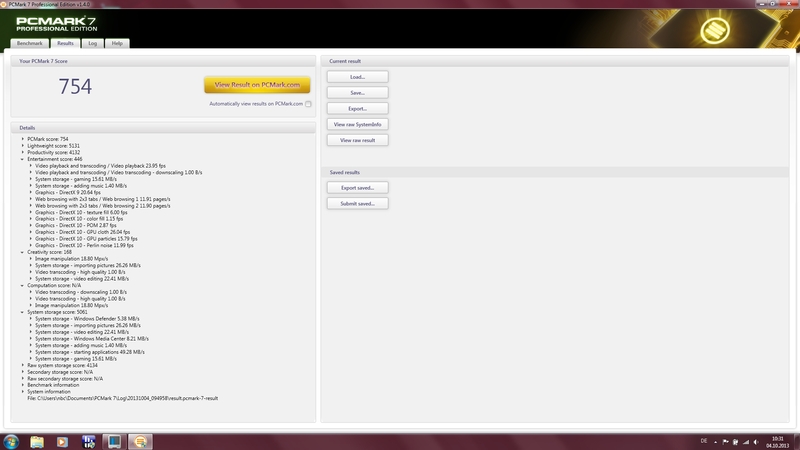 DVD playback on the go is no problem either with a runtime of more than four hours. The notebook will last for around five and a half hours in practice before you will have recharge it. This result is also confirmed by the battery test of PCMark 8 Work (5:26 hours). 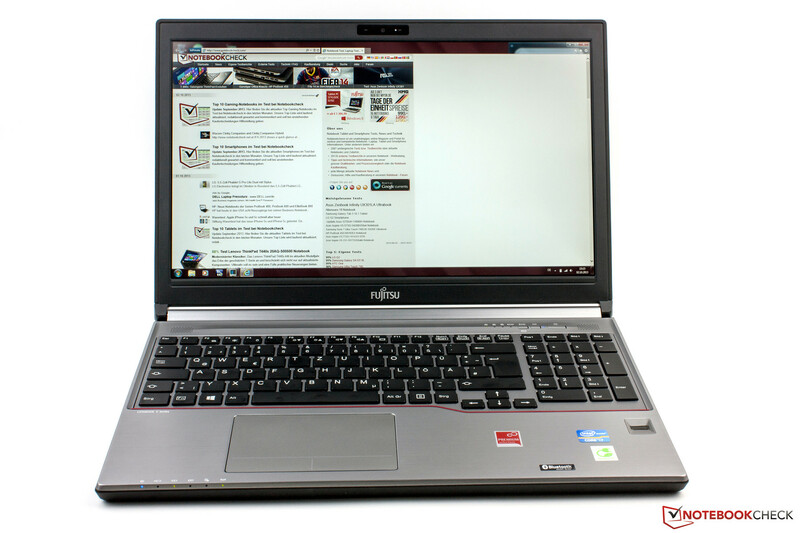 In Review: Fujitsu Lifebook E753 Premium Selection. 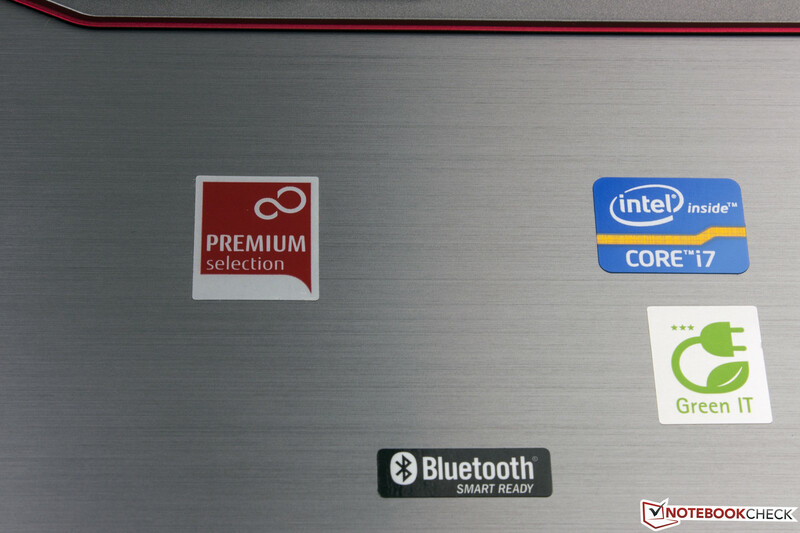 The Fujitsu Lifebook E753 Premium Selection is not only well-designed but can also convince us with its inner values. It is equipped with a powerful i7 processor and an SSD as well as comprehensive security features and many communication modules. The excellent IPS display and the very good input devices support the overall positive impression. The Lifebook is an excellent business companion. One drawback is certainly the screen bleeding at the bottom part of the display. This should not happen in this price category, however, many premium notebooks from other manufacturers have the same problem. We also did not like the whistling sound of the SSD when we copied large files and the preinstalled bloatware makes no sense for a business notebook. If you need more GPU performance and a better color accuracy you should have a closer look at the HP EliteBook 8570w or the Dell Latitude E6540, which already uses the latest Haswell hardware; both devices can also be configured with a dedicated graphics card. 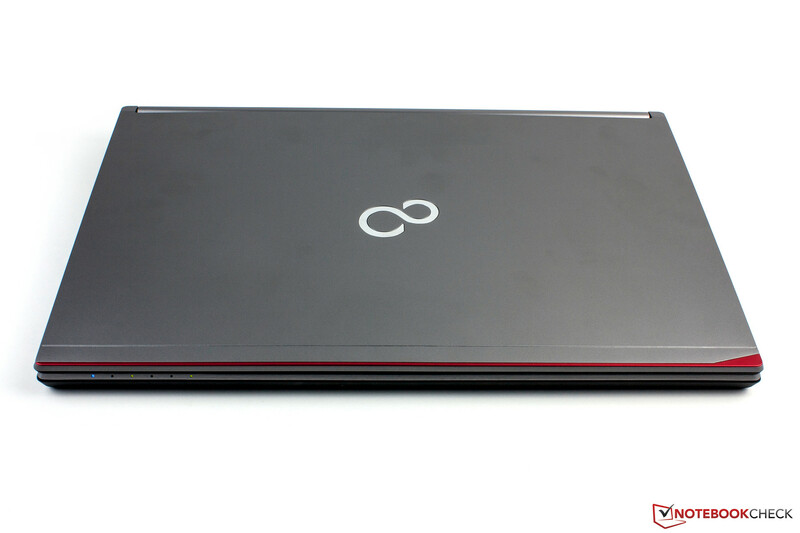 Otherwise you will be completely satisfied with the Lifebook E753. The cover is graced by a magnesium-alloy. Fujitsu integrates a matte panel. 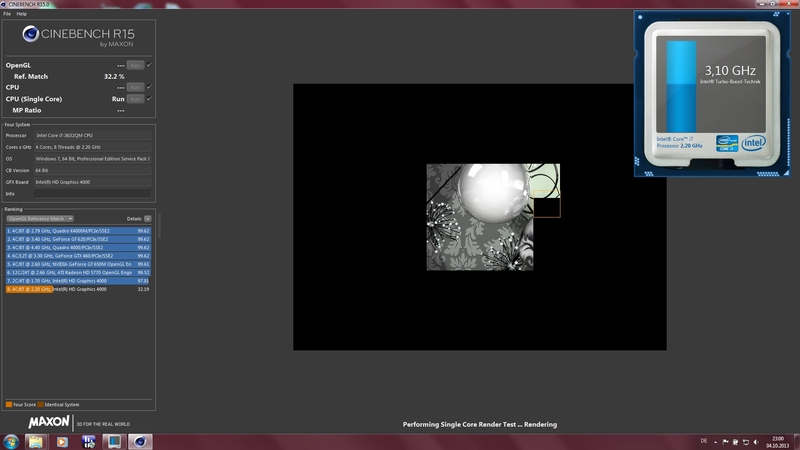 It has a resolution of 1920x1080 pixels. The maximum opening angle of the display is at around 190°. The E753 is very light and thin. Good low-light performance of the webcam. Most of the ports are on the left side of the case. Only a few ports are on the right side. The optical drive reads and writes DVDs. 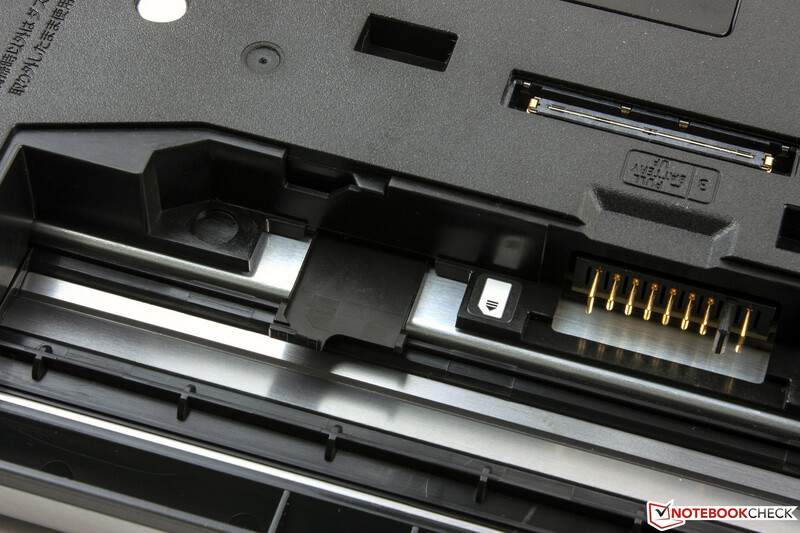 A fingerprint reader is integrated. 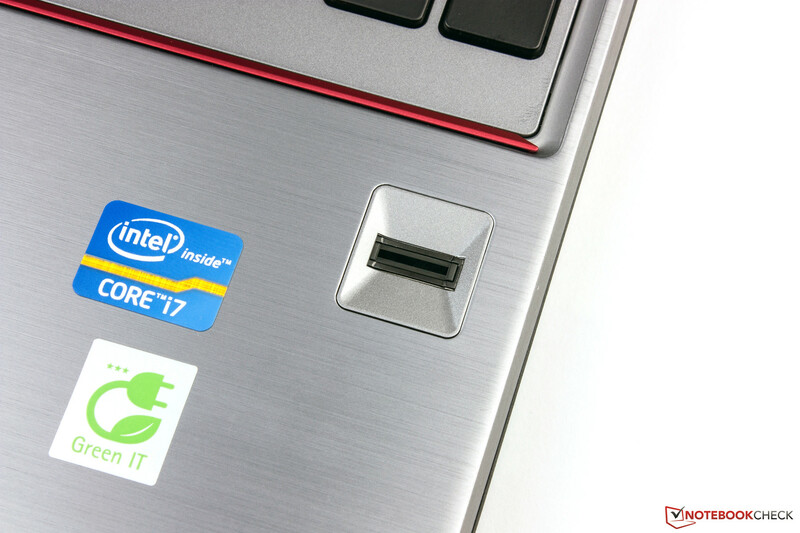 Fujitsu advertises the E753 with a Green IT sticker. Six status LEDs for power, SSD and wireless. The speakers are no highlight. You can reduce the energy consumption to a minimum with the Eco button. The bottom is made of plastic. The drive bay is only secured with one slider. You can easily remove the DVD burner. You will need a standard-sized SIM card. Only the memory is accessible via the maintenance cover. Accessories include a port replicator. The box contains five DVDs. Another PSU is for the port replicator (100 Watts). The battery has a capacity of 72 Wh. The outdated GPU driver results in benchmark errors. 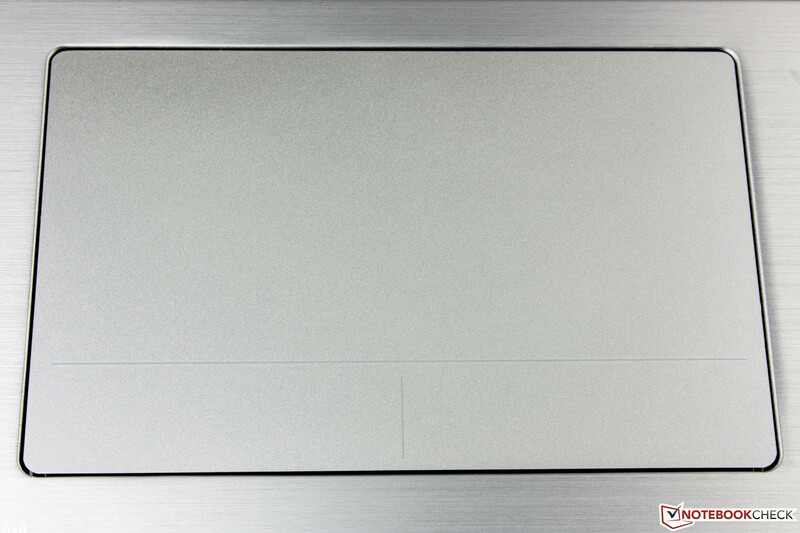 The matte IPS display is very bright and has a high contrast, so outdoor use is no problem. The input devices are very good and the security features are comprehensive. A current driver for the Intel HD Graphics 4000 would be nice. The preinstalled one is already one and a half years old. We cannot understand why there is so much bloatware on a business notebook. Shortcuts of alleged full versions only lead to the web shop of the manufacturer. Amongst others: Dell Latitude E6530, HP EliteBook 8570w, Asus Pro B53V-S4042X, Lenovo ThinkPad T440s, Dell Latitude E6540, Bullman C-Class 3 SRD 14, Lenovo ThinkPad S531 and Schenker XIRIOS B502.